Venue says Netflix of private members clubs (£10/m). 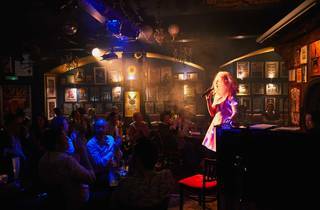 Pre-/post-theatre dining, performances and late-night bar! Non-members welcome with a reservation. 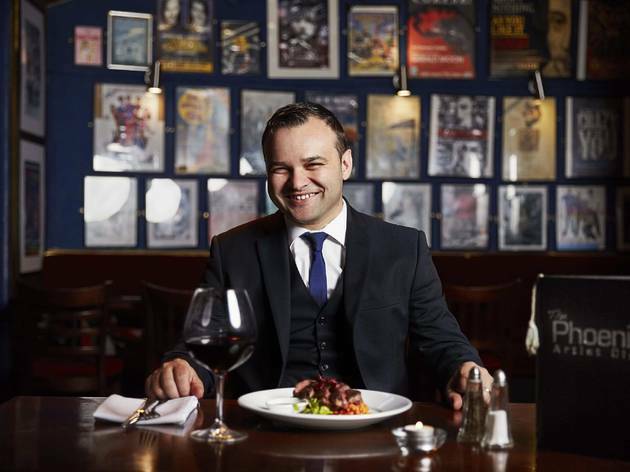 This legendary late-night bar and brasserie has been through something of a revamp over the last few years - all in an effort to return it to its art deco roots. Sagely they've kept the walls much the same, still festooned with headshots. Membership is required to gain entry, but non-members can make a reservation in advance. If you've been to the theatre then show the guys on the door your stub and, if there's enough room, they'll let you in. And if you really like what's inside? Membership starts at £10 a month, or £100 a year. 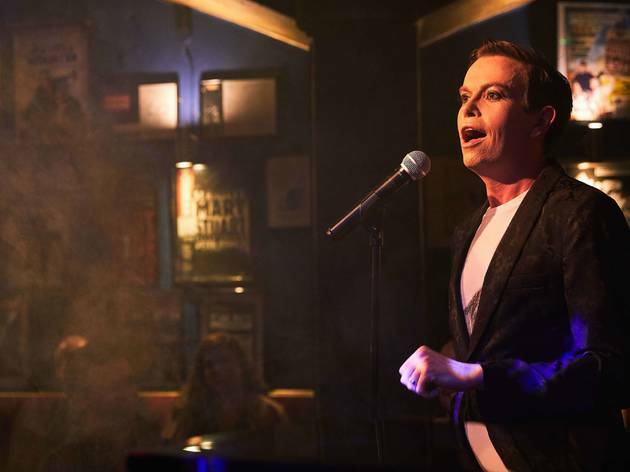 Keep an eye out for cabaret, musical theatre open mic nights, impromptu performances and more - more often than not from West End casts (they often make a beeline for here). 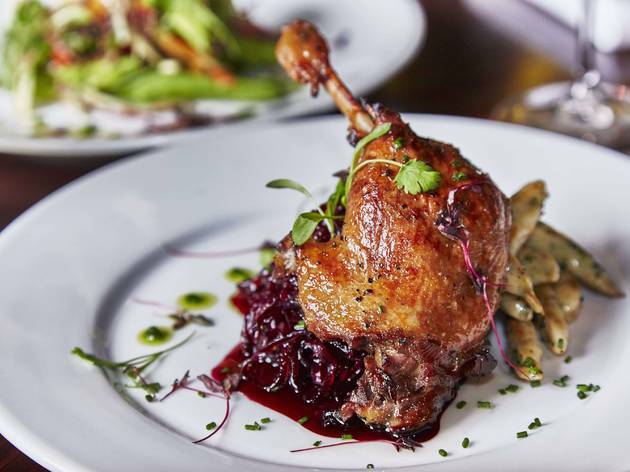 The restaurant serves modern-European food Tuesday-Saturday evenings from 5pm, with the kitchen headed up by Robert Kusy. 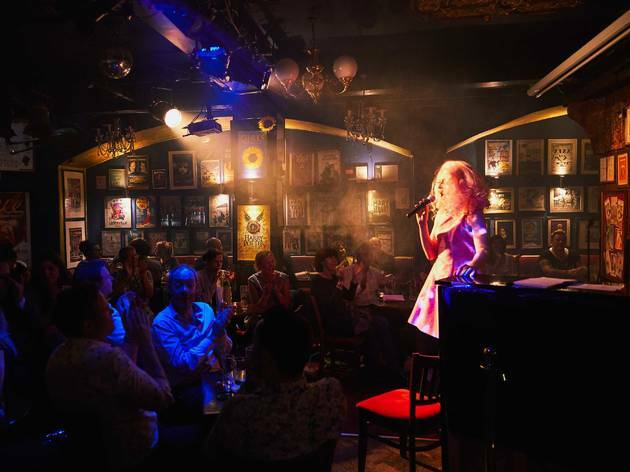 Entertaining entertainers since 1988, we are located in the heart of London's West End, in the original rehearsal rooms of the Phoenix Theatre - We're also one of the last independent venues in town. You can support us by becoming a member from just £10 a month! 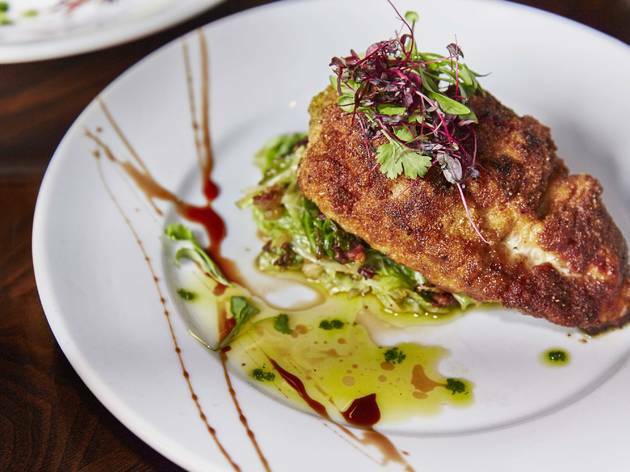 A perfect spot for a pre or post-theatre meal (£15), dedicated evening out or late night drink (licenced 'til 2.30am)! You NEVER know who might make an impromptu performance. We're a private members club, and non-members are welcome provided with a reservation made in advance! For theatregoers, simply show your ticket to the door post-show for entry to the club. We're LGBTQI+, family friendly and run a 'creative hub' daytime, offering free wi-fi and coffee to London's creatives. Mon-Sun 10.30am-2.30am (last entry 1am); Sun 10.30am-1.30am (last entry midnight). Food served Tue-Sat 5pm-9.30pm (pizzas available after 9.30pm). Membership required after 9pm. The Phoenix Artist Club is a truly original, delightful place. A bit of a hidden treasure, it is quirky in the very best sense of that word, and perfectly relaxed. Adjoining the Phoenix Theatre, the artists in questions are actors – the wall above the bar is papered with signed photos, some faces you’ll recognise, most you won’t. But the ‘artistic’ doesn’t stop there. With lots of the original 30s deco features still intact, the place has amazing history – it was converted in the 70s from the original theatre dressing rooms that would have seen Olivier, Noel Coward and Gertie Lawrence slapping on the greasepaint. Nowadays, the general décor is what can only be described as eccentric – again, in the very best sense of the word. With the stuffed crocodile head sitting side by side with ever changing paintings (one time there was a strange scenario featuring Al Pacino on display), you can imagine that if the Addams Family decided to open a bar, this would pretty much be what it looked like. The staff are always friendly and you may stumble upon a performer or two there practising their craft. Technically, The Phoenix is a private members club but is open to the public before 8pm, so if you’re in the mood for an afternoon aperitif or an early evening tipple, this is a perfect place to go, rather than try to squeeze into the tiny bars and pubs around Soho. You won’t be chucked out at 8, but if you want to enter later, of course you can join (£120 a year; you don’t have to be an actor). Fairly often, if you arrive early enough, it is pretty quiet but that can be a good thing as you take in the surroundings and feel like you’ve found your very own private bizarro bar. Other times it will be swarming - it’s used by those who work in the immediate area as their after-work hangout, you takes your chances. The drinks prices are reasonable and they now serve good quality bar food. The only negative I can ever say about the place is that there have been a couple of times when we’ve tried to go and it hasn’t been open and it’s hard to find out when exactly it IS open. But it’s worth a go when you’re in town. Or, if you find it’s not open yet, pop across to Molly Moggs and keep an eye out for when it is. Such a cute and cosy venue which always has a good atmosphere. The first time I went I was a little apprehensive as I'm not the most musical-crazy person but the live musician was really good and there was a buzz to the place. Staff are friendly, the food is good and the room at the back has some really good live entertainment. After a facelift, which has freshened the place up without losing it's original charm, the Phoenix is going from strength to strength with an ever-increasing eclectic line up of shows and the launch of it's new daytime creatives hub- very friendly and helpful staff. Can't recommend this place highly enough ! Great mix of people and wide variety of entertainment. Friendly staff and reasonable prices make it one of my favourite West End spots. Good inexpensive place to eat before a show. Fun, intimate venue below the Phoenix Theatre with lot s going on. Fantastic hidden little bar. The only place I really enjoy visiting in the West End. If you get there early enough it's great for a quiet get together or later there's a bustling atomsphere and great entertainment. Food is fantastic!!!! A hidden gem for sure! Cant recommend it enough! Great atmosphere and wonderful staff. I love the intimate atmosphere. It's great to be close to the performers and be able to interact with them. The staff are friendly, always happy to help. The best small venue in London. Fun, with great artists doing great shows. Quirky, friendly, good prices for excellent food. Friendly, welcoming, helpful and organised. Love this place! Great atmosphere. Entertainment. Great people working there! A Super friendly venue with a vibe of acceptance to all and cheer. Such a welcoming place and always feel like family when I go there, even after a while away. Is my secluded London get away, with great food, spectacular atmosphere and the BEST staff. ! . I celebrated my birthday here and all my guest complimented on the superb venue, friendliness of all staff and great value for money. Had a wondeffull evening ! Next year I hope to celebrate my 50th here as well. ... thank you all for making me feel so special. 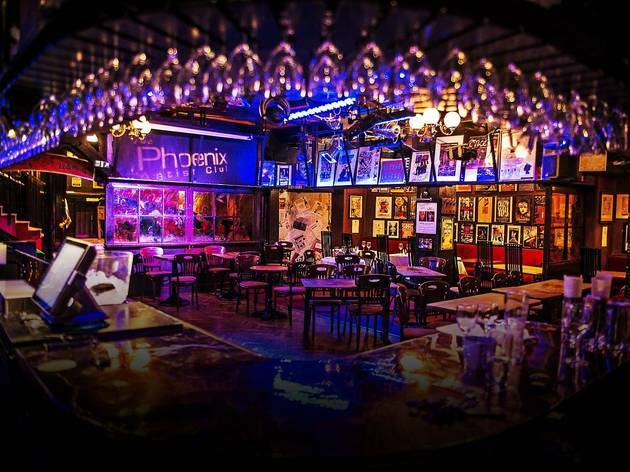 The venue, the welcome, the food, the service, the great selection of drinks, the entertainment, the people...everything about The Phoenix is special. From your first visit till your 1000th it retains the excitement of going there. Friendly and a little bit wonderful with a special place in my heart!! 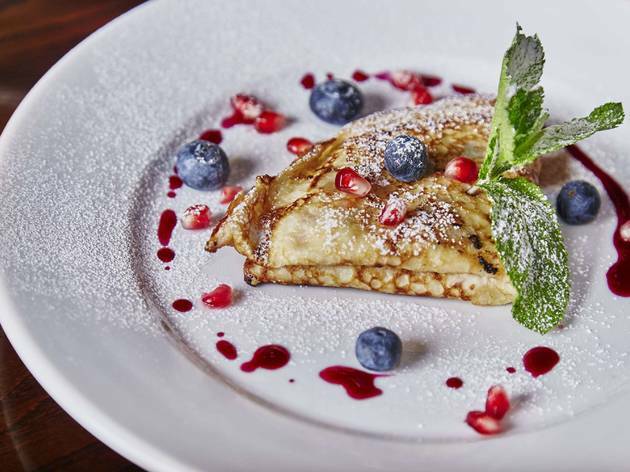 Friendly staff, great atmosphere, great food and reasonably priced for the west end . also great entertainment nights . Brilliant staff, amazing venue and decently priced. I am so disappointed in myself for not realising this place existed before now. This is a great little bar which you pretty much have to yourself during various points of the day so can be a little hideaway right in the heart of London. However, the real attraction of this place is the cabaret act Vanity Von Glow - she is an amazing singer who had be in hysterics! Very much recommended! Love the atmosphere here - it has a very special friendly vibe. Great place for catching up with friends over a drink. My kinda place. Here we have a theatre scene vibe but not in a wanky way - more in a "we've just finished opening night and now let's have a cast and crew party" kind of way. Definitely a place to meet people - very open, lively atmosphere and lots of fun. It's not a gay bar, but it's LGBT friendly; it's not an exclusively theatre bar though I'm pretty sure the guy next to us with white hair was some kind of rock star from the '70s and the group in front of us were at Musical Theatre school together. In terms of drinks, I ordered a lime and soda, which was lime cordial rather than fresh lime, but that's about all I can say about the drinks (I'm sure they're fine). You can take your pick of booths, tables, bar chairs or dancing, with plenty of people mingling all of the above. On the Saturday night we went in there were no show tunes (sad face) though plenty of '80s camp classics and modern numbers designed to get you up outta your chair, singing and dancing. Membership starts at £100 but if that feels a little steep for you, get there before 9pm for free entry. The unlocal local for many. Always a warm welcome! If you want to sing your heart out to an array of show tunes every Friday then this is the place for you. Confusing door policy (so get in before 9pm) this place is a must be for a show tune sing a long. If you're like me and can't remember words for love nor money then have no fear they have song sheets and even a lit wand to follow. You'll make new friends and probably needs some strepsils on the way home. Great venue, they deserve to win! Great venue with wonderful food and a great atmosphere, and fabulous entertainment. The staff go out of there way to make you welcome . A gem of a place, tucked away behind the Phoenix Theatre. Although the entrance policy is somewhat difficult to figure out, once you are in, you are in for a treat. The atmosphere is quite special, and so is the crowd - in fact, so special that I once considered buying a membership, before I remembered how far I actually live! My favourite venue in London! A great atmosphere and unique surroundings. I've enjoyed some really fantastic nights here. The staff are amazing, the customers are charming and the passion of the owners to keep this friendly vibrant and very welcoming club alive is apparent. They deserve to be recognised and able to enjoy a continued success. Unique in a good way. Terrific vibe and great fun. 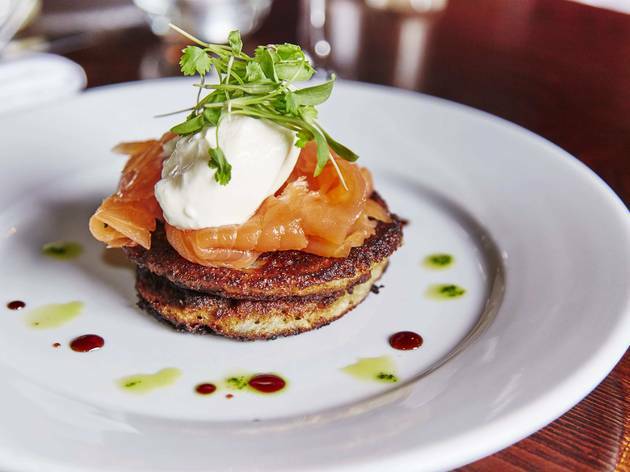 I have eaten here regularly and been delighted with the varying menu and top class food. I went late-ish one night with friends and had a wonderful time! Not full of kids, excellent music, lots of character(s), a great bar and excellent cocktails. What more can I say? I left somewhat after 3am, which is LATE for me but felt I had had a first-rate time. I plan to become a member. One of the friendliest bars in Downtown London. The staff are efficient and the service is good.....excellent value for money. This is a club like no other. 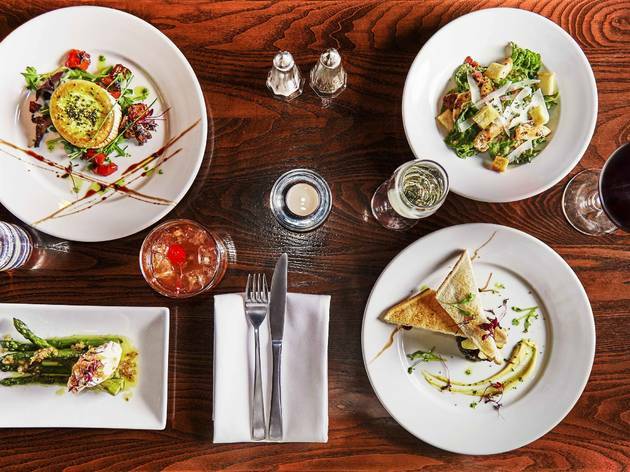 Wonderful atmosphere, great decor, charming staff, lovely food and a well-stocked bar. Dine, chat, dance till late, hear great music. Love it. I had a really good evening at the Pheonix club and loved the opportunity to visit 'the most bohemian place in London'! However, the night was let down by the hour late start- I'd rushed from work to ensure I arrived by the advertised 7pm start- and the fairly over powering air con which had us shivering in our seats for the first act. The music and atmosphere more than made up for these issues though and I would love to attend a similar event in the future! 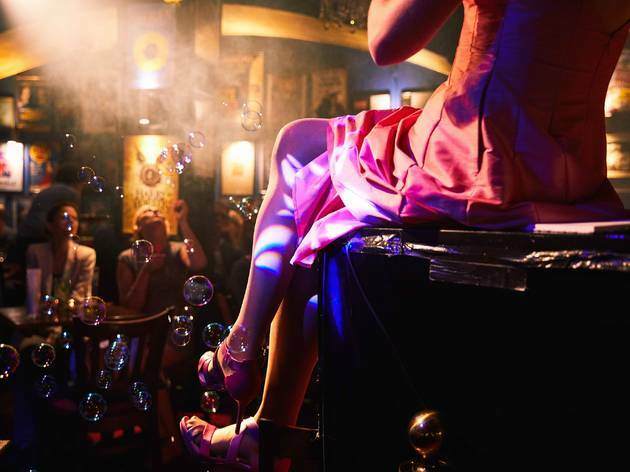 Possibly London's last magical, eccentric basement club that is still independently owned and truly Soho. A unique place where the most inexplicable and wonderful things happen - regular music events, theatre events, and more than anything, a community. Creativity in a bottle, in life's Soho cellar. This bohemian bar is a little bit of Soho that should have a preservation order slapped on it immediately , as to turn this into anything other than itself would be a sin. Next to The Phoenix Theatre just off Charing Cross Road enter the anonymous doorway and travel down a short flight of stairs to a different world. The walls are festooned with signed artist photos and theatre memorabilia. The soundtrack is often theatrical too. For this part of London the drinks are reasonable as is the food (I had the fish and chips - Delicious! ) All of this is good but what makes this club so special are the events they host. Last night we attended a Time Out Card showcase of musical talent staged by Karousel Music. It all took place in the little back room of the club. The whole line up was exceptional but special mention must go to Shel - 4 wildly talented sisters from Nashville who so obviously relished playing London. When the gig was done we all filed into the main bar and there was no pressure to leave. In fact the theatre crowd - audience and performers, started to arrive and the place took on a whole new vibe. I simply loved it. Here's a little bit of Shel too. Catch em if you can. I think they are going to be big. Love this London gem. Don't go there in case it gets too popular. A combination of hilariously grumpy staff, tatty decor and camp showtunes make this a unique experience in the heart of Central London. If you love theatre, you'll love this place. Gets very busy after 10 as actors and audiences unite. Would get 5 stars, but the loos deserve a bit of a refurb. They now also do food which looks pretty good.